Despite government plans designed to keep bed bugs at bay, these pests continue to be a growing concern for rental property owners. According to the experts at Toronto-based City & Country Pest Control, bed bugs outbreaks can get worse as students go back to school. What’s the connection between bed bugs and students? 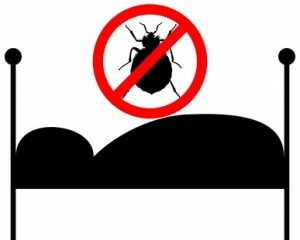 City & County Pest Control experts point out that any time you have multiple roommates and people living in close proximity, you increase the chances for a bed bug problem. Add the fact that students will be carrying in luggage, boxes, books, or used furnishings, and going out frequently, and it’s clear just how easily bed bugs can travel from place to place. New renters may not know they have a bed bug infestation. But, left unreported, bed bugs could infiltrate a number of units before a landlord finds out there is a problem. That will significantly drive up the costs of remediation, and make it harder to fill vacancies. It’s important that renters, including students, are encouraged to report bites, and any suspicions concerning a possible bed bug infestation. Students and other renters also should avoid using over-the-counter pesticides to get rid of the problem. In fact, off-the-shelf pesticides can make matters even worse, because bed bugs can sense chemical odours, exacerbating an already terrible situation. Bed bugs are notoriously difficult to eradicate. Landlords who experience a bed bug infestation at their rental property must remain committed for a long process which may involve multiple inspections and treatments. Work with a licensed pest control company, like City & County Pest Control, to develop a plan that cleans up the bugs for good — without harming the tenants who share the space.